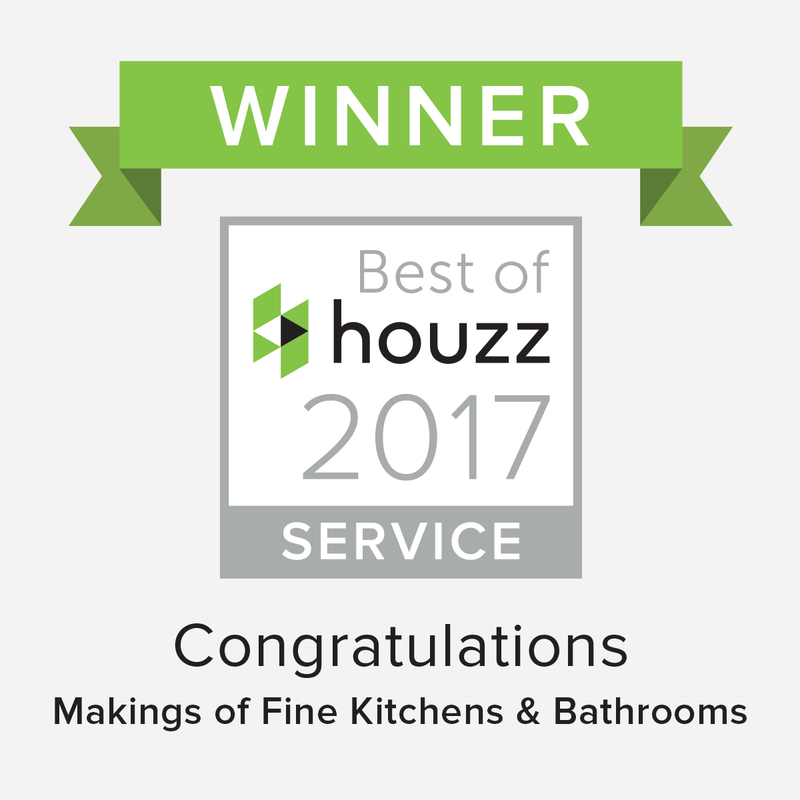 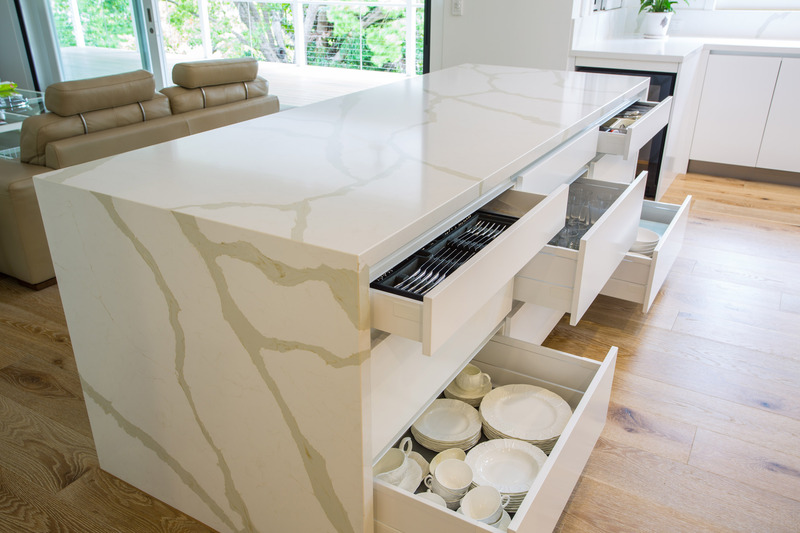 This large Contemporary bespoke luxury kitchen oozes sophistication whilst being highly functional with European appliances, and encompasses a large butler’s pantry with ample storage and bench space. 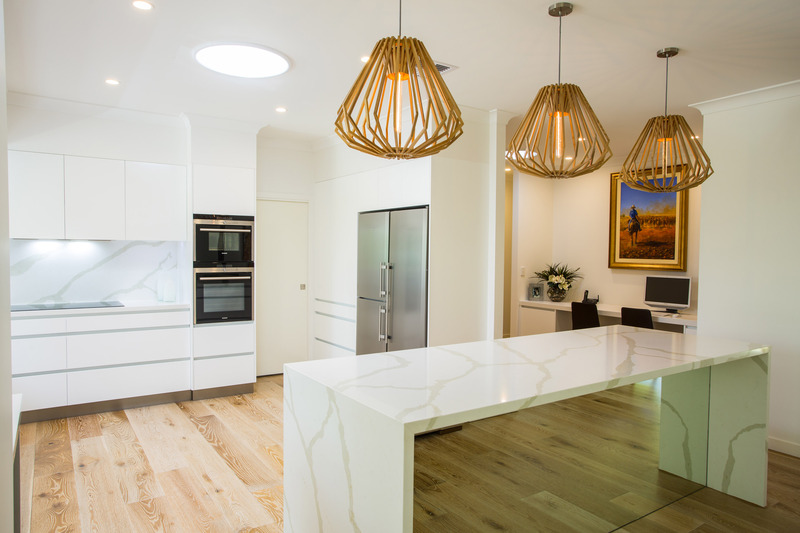 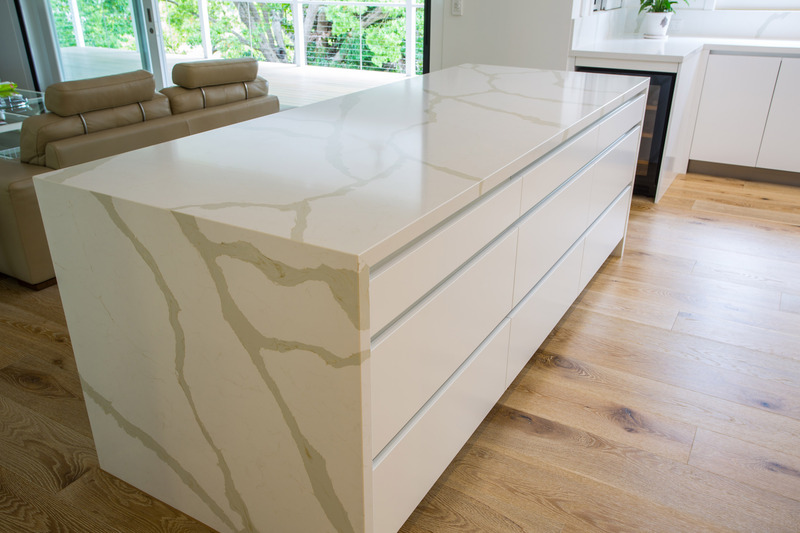 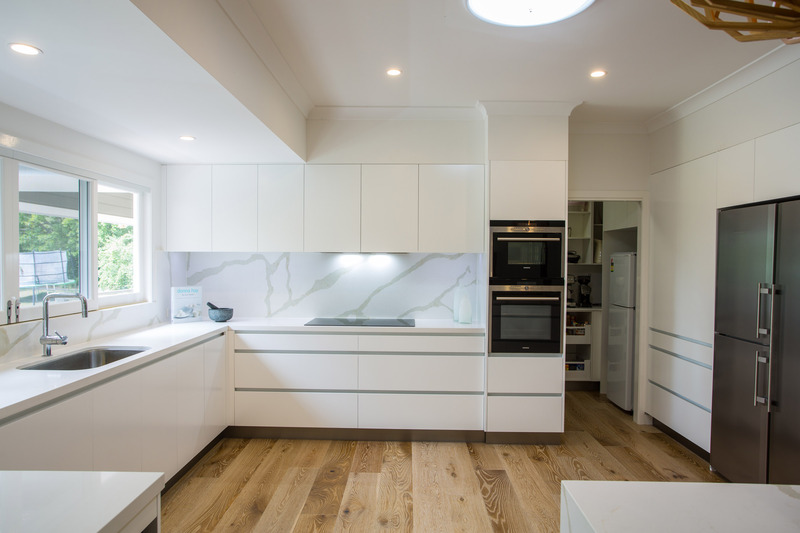 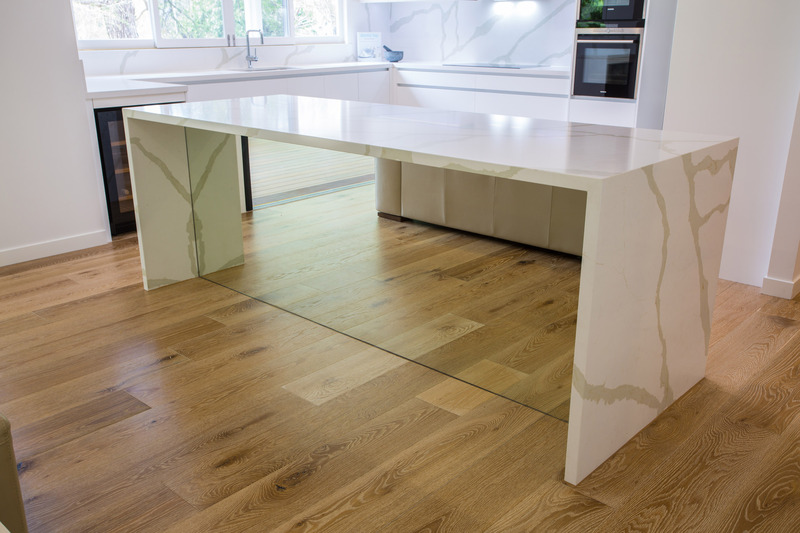 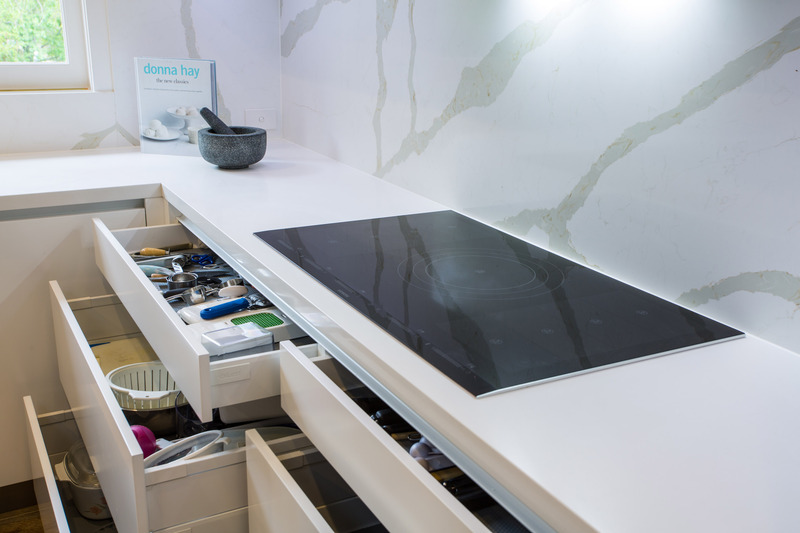 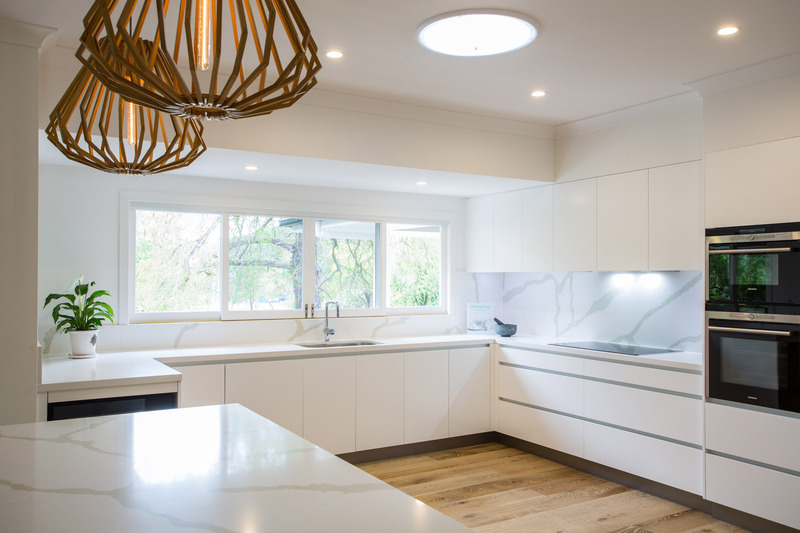 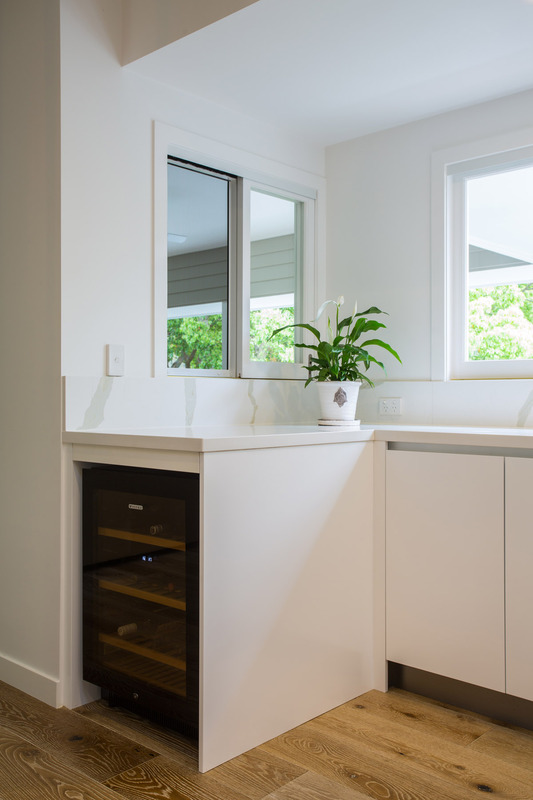 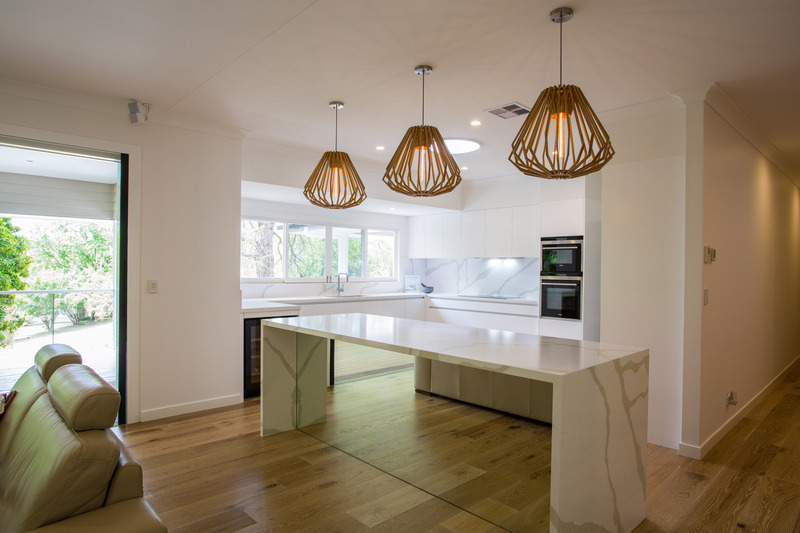 Features 2pac cabinetry with Quantum Quartz Alpine White stone in the work bench areas with Quantum Quartz Calcutta Quartz stone in the splash-back and island bench top & waterfall gables with mirrored panel in the island bench. 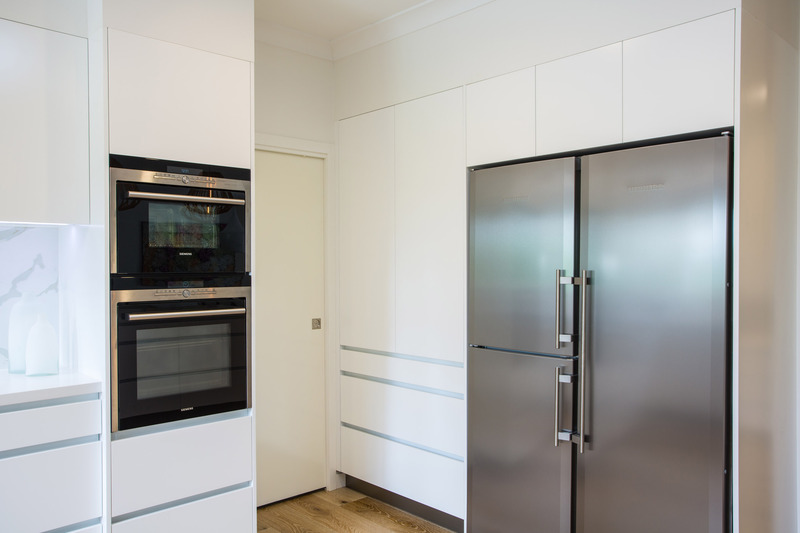 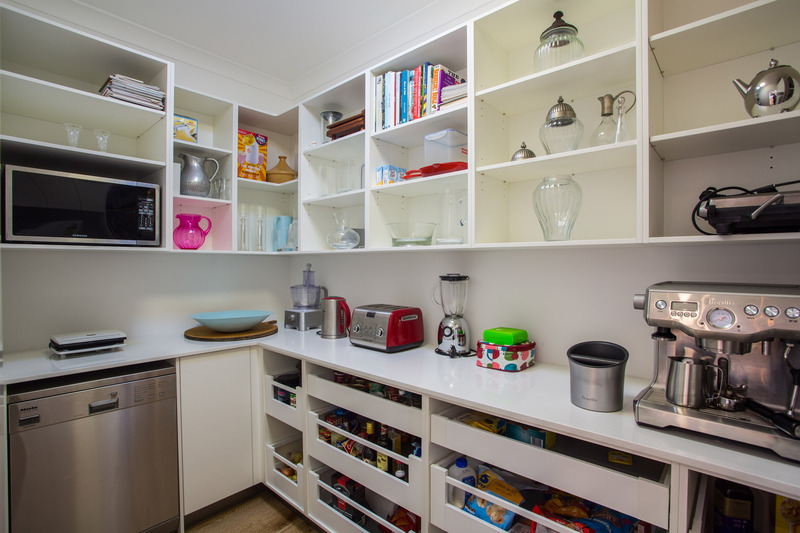 This kitchen optimises storage both in the wall cabinetry and the large drawers with Blum hardware.